William R. & Teresa F. Kurau Lampeter, Penn. 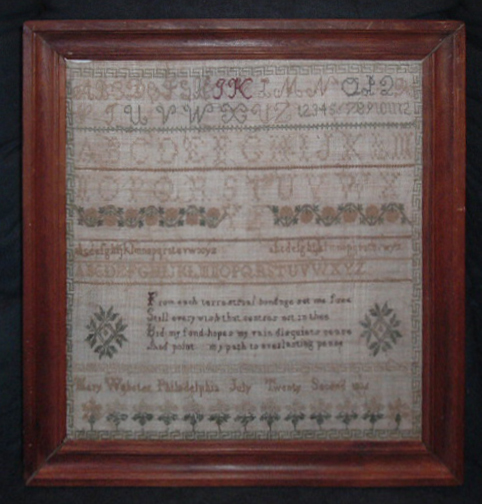 717-464-0731 lampeter@epix.net www.historicalchina.com A 16½-by-18-inch Philadelphia sampler sewn by Mary Webster, July 22, 1836. Along with this sampler, there are two Lancaster County samplers done by the Eshelman sisters of Soudersburg in 1819 and 1827, along with a nice selection of children’s mugs and items of historical interest.